Are you looking for a different award to end this season other than the traditional golf-figure trophy? The Resin Golf Bag Award is for you! 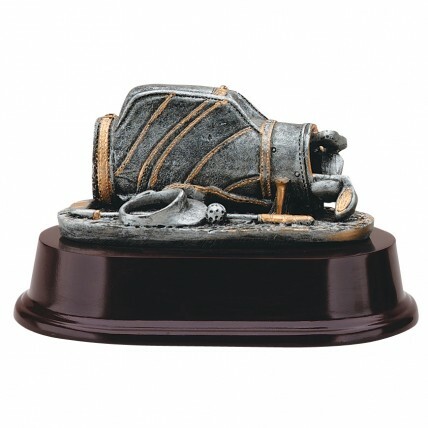 This statuette is pewter colored with golden accents and features a bag, visor, ball, and club all resting on a dark rosewood-colored base. Personalize this award with up to three lines of gold engraving on a black brass plate.